How a pitcher has lasted since the 1930s without a pair of clumsy hands without taking it out is beyond me! This one is an exception. 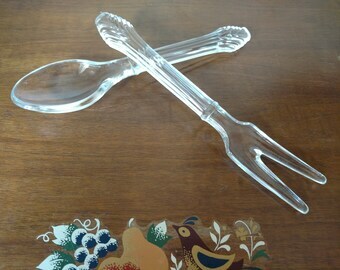 The pitcher is from the Party Line pattern and was sold in conjunction with a matching reamer. Boy does this glow! Undr blacklight the color is amazing. Measurements on the side go from 1/2 pint to 2 pints. Stands 5 7/8" tall. Mouth is 4 3/4". There is a roughness around the bottom but no sharp edges. 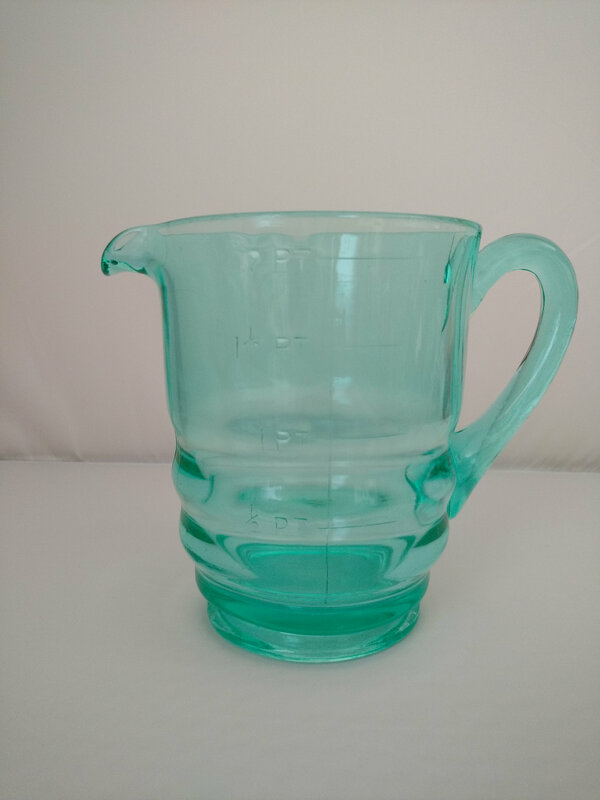 The pitcher comes to you in used condition. There are scratches and scuffs about the whole pitcher.